Roof Replacement Services - Watershed Roofing | Free Quotes! Its a sad fact of life for every property owner that roofs don’t last forever. 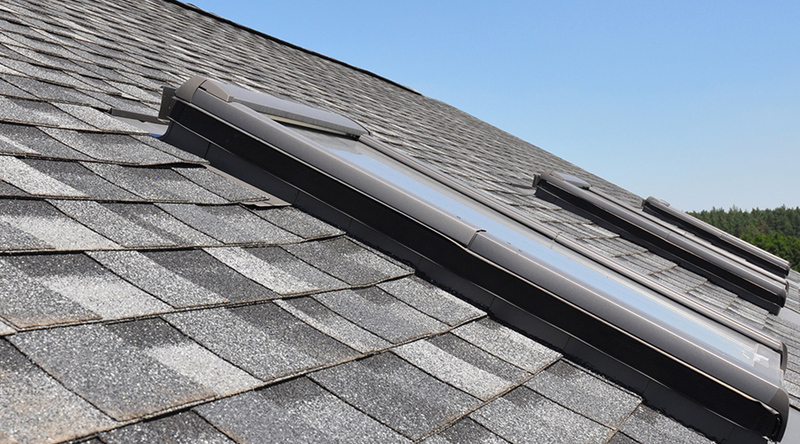 Depending on the materials used, a roof replacement service may be needed between 15 and 30 years after installation. This number may be increased with regular maintenance. When a roof replacement is needed, Watershed Roofing is one of the premier roof replacement companies in Ontario. We have been providing roof replacement services all over Ontario for years. Our roof replacement services include all roof systems for flat roofing and sloped roofing including; flat roof membranes, metal roofing, shingles, concrete tile, slate, rubber tiles, steel coated shingles, metal shingles, etc. Roof replacement is a superior method to re-roof, as all of the old roof surface is removed, and the foundation of the roof is exposed. This allows us to find any damage done as all weak and damaged areas are exposed and then repaired. That means your roof is guaranteed to be waterproof and weatherproof to make it through any conditions for years to come. Because the roof surface is gone we can see any damage done to the plywood, the attic, the roof truss, we can detect mold or rot and take care of it fast prior to putting a new roof surface down. Watershed Roofing have provided commercial roof replacement services and residential roof replacement services for hundreds of locations all over Ontario. How do I know I need a Roof Replacement Service? Every roof replacement Watershed Roofing conducts starts with an inspection. Depending on the situation and condition of your roof, we may suggest a minor repair, or a re-roof. Once we have identified the issues we will go over them with you. When you need a roof replacement, the great thing is you can decide at that time to change the style, colour, materials, or functionality of your roof. As a full service roofing company, Watershed Roofing can do it all. Before a roof replacement begins, we explain everything to you in writing along with a timeframe and exact price. Then our highly trained expert roof replacement team gets to work. We pledge to get the job done on time, and in the most convenient manner possible, and have everything done to your satisfaction. If you have questions we would love to chat with you and answer any questions you have. Call us or email us any time Monday to Friday from 8am to 5pm. Our repair services are on call 24 hours a day, 7 days a week, 365 days a year.